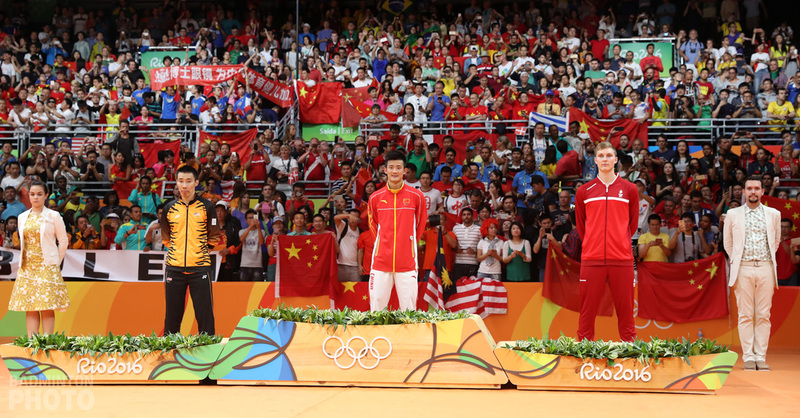 Lee Chong Wei is in the final of the US Open nearly ten years since last competing in the United States and he is joined on Sunday by fellow former world #1 Yu Yang, playing in the Western Hemisphere for the first time in 11 years. The last time Lee Chong Wei was in an individual BWF ranking competition was at last summer’s BWF World Championships in Copenhagen. The last time he competed in the United States was ten summers ago, when he won bronze in his first ever World Championship appearance. If he lost on both of those occasions to the eventual winner, he is surely hoping to be the eventual winner this week at the Yonex Suffolk County Community College US Open. 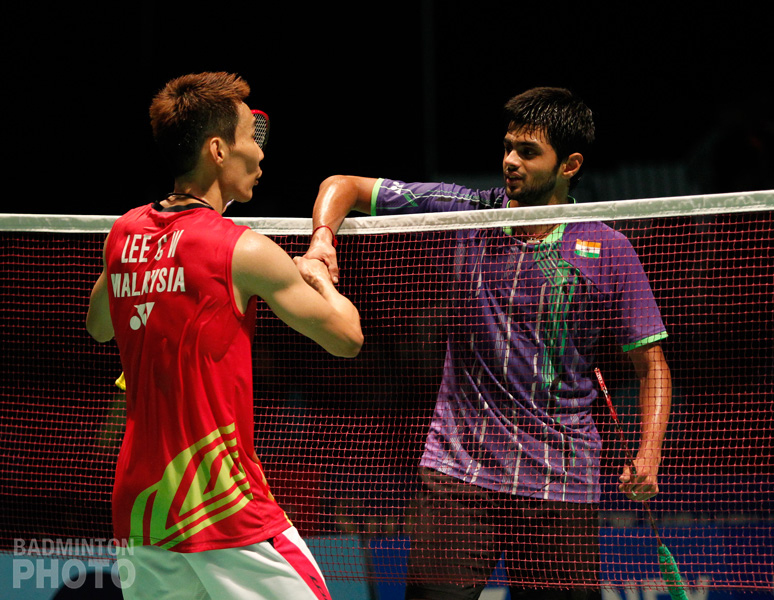 Lee Chong Wei took care of India’s B. Sai Praneeth (pictured) in two games to earn a shot at the title. The Malaysian looked comfortable in the first game, controlling from the outset. In the second, Sai Praneeth managed a run of points right before the interval and near the end on a combination of crisp smashes and some rushed points by Lee . However, the Indian never succeeded in catching his opponent. Lee’s opponent in the final will be Hans-Kristian Vittinghus (pictured). 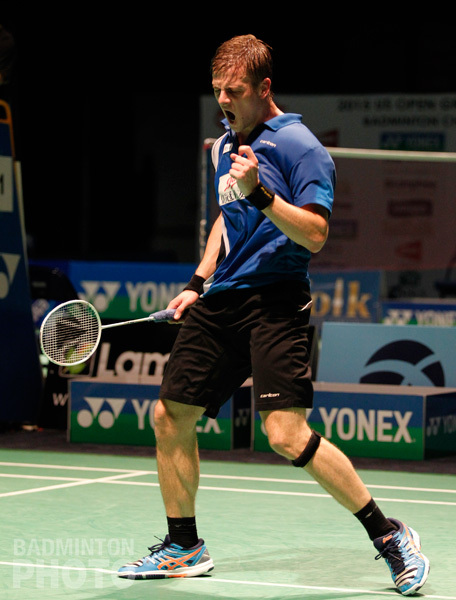 The Dane ousted top seed Chou Tien Chen. Both players were playing in their first semi-finals of the year. Chou has held onto his top ten ranking with a couple of quarter-final finishes since his semi-final appearance at the China Open late last year but Vittinghus has been in a much deeper slump, never progressing past the second round since becoming the runner-up in Dubai in December. “I’m so happy with the way I managed to turn things around after a first game where my timing was off and I made many mistakes,” said Vittinghus on his Facebook page. 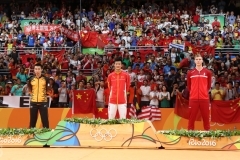 “Chou also set up a really strong defence to make it difficult for me. But as I said I turned it around and controlled the match for most of the last two games. 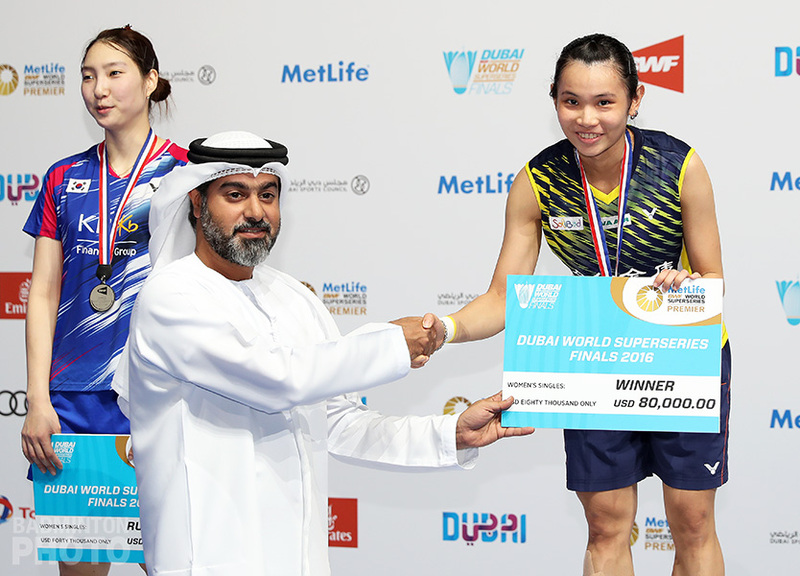 In the women’s singles, Sayaka Sato (pictured) bounced back after narrowly losing the first game to win two quick ones against Akane Yamaguchi, who recently celebrated her 18th birthday by reaching the world’s top ten for the first time in her career. Sato has reached many semi-finals in the past year and has almost always been thwarted on the weekend by a team-mate. One of the few non-Japanese players who has stopped her recently was this tournament’s defending champion Zhang Beiwen, whom she bounced out in the second round this week. Sato’s opponent in the final will be world #10 Nozomi Okuhara, to whom she lost in the final of the Jeonju Grand Prix last year. 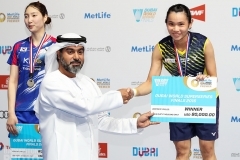 Nozomi beat Sayaka Takahashi in what was also a repeat of a recent final as the two had played for the title at the Malaysia Masters in January. Sato was among the first to oust a returning champion at this year’s U.S. Open but we haven’t yet seen the last. Early in the day, two of the newest Superseries champions, Lee Chun Hei and Chau Hoi Wah (pictured) of Hong Kong, progressed to the final by beating Arends and Piek of the Netherlands to earn a shot at the title they won two years ago. 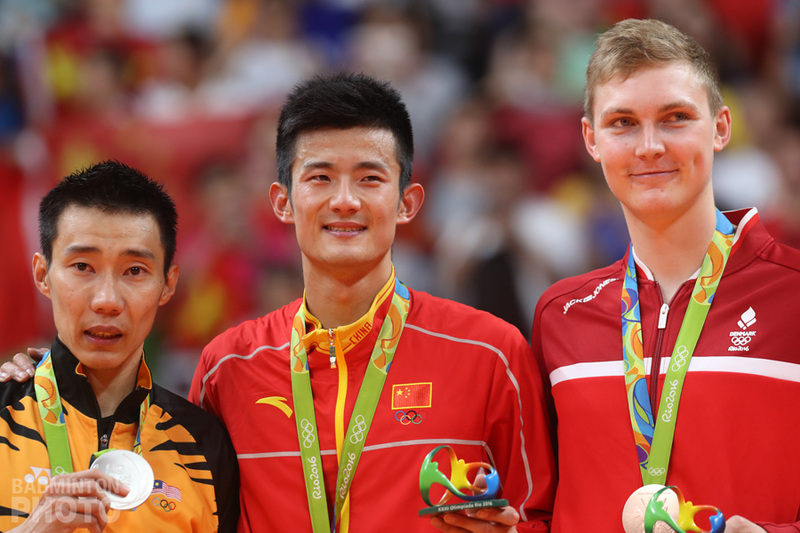 The mixed doubles will not, however, see a match-up between former winners, however, as China’s 19-year-old Huang Kaixiang and 20-year-old Huang Dongping (pictured bottom) spelled the end of the road for 2010 champions Fuchs and Michels in three games. In the last match of the day, India’s Manu Attri and B. Sumeeth Reddy (pictured) did one better than they did at home earlier this year. They downed 2013 men’s doubles champions Kamura/Sonoda in straight games to reach their first career Grand Prix Gold final. 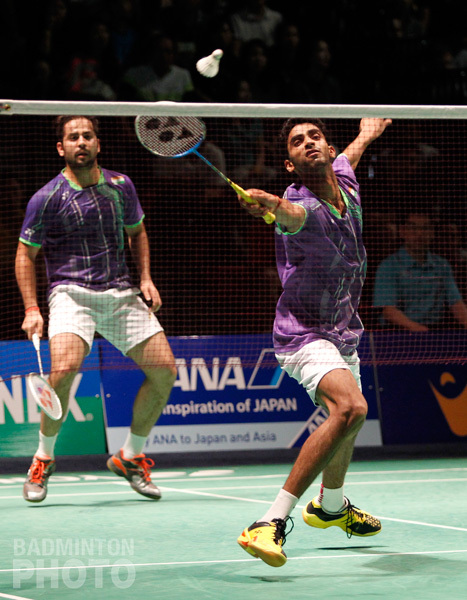 It will be Attri’s second after he was the runner-up at the India Grand Prix Gold and the two were the only Indians to make it through the semi-final round in Suffolk County. 2013 World Junior Champions Li Junhui and Liu Yuchen will be looking for their second Grand Prix Gold title of the year in their fifth such final in their young career. 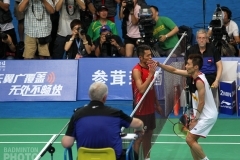 They beat unseeded Japanese Hoki/Kobayashi in three. Zhong Qianxin is another former champion looking for another title on Sunday but she is back with a new partner who is none other than former world #1 Yu Yang. Yu is making her first appearance in the Americas since she was in Vancouver way back in 2004 to win her 3rd, 4th, and 5th World Junior titles. Yu and Zhong destroyed Japan’s Fukuman/Yanao in their second game and will face Swiss Open runners-up Kurihara and Shinoya in the final. LCW will have no problem beating Vittinghus in the US Open final in straight games. That’s my prediction.